Road to Roof is a specialist in concrete packages in all areas of commercial and industrial construction. Our experienced teams are experts in the trade with a diligence and determination to surpass the expectations of our clients. Road to Roof is a family based company specialising in concrete packages in all areas of commercial and industrial construction. Leaders in the field; the company has been in operation since 1975 and has a deep rooted heritage in concrete and masonry construction. Our reputation for quality workmanship and precision is proven and we pride ourselves on the professional service we provide. Our experienced teams are experts in the trade with a diligence and determination to surpass the expectations of our clientele by maintaining construction programs, without impacting the quality of our work. 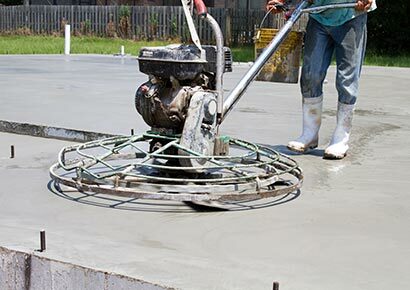 Offering complete concreting services including detailed excavations, steel-fixing, formwork and predominantly concrete placement and finishing packages; we have been successful in completing a wide selection of project types. Both previous and current projects vary from small to large industrial and commercial developments including; warehousing and storage facilities, cold storage and food processing facilities, manufacturing facilities, healthcare, education and multi-story residential developments. Servicing the industry for over forty years has left us with an accumulation of images resulting in a portfolio showing not only major construction and new builds but also extensions, refurbishments and remedial concrete and masonry works. The proof is in the pictures; take a look at our gallery. Commercial Builder or Industrial Complex – We service all industry types and are eager to hear from you. Our name is indelibly stamped on every piece of work we put our hand to. Our reputation for precision and perfection is as important to us as it is to our valued clients. We are proud to have the following past and present clients endorse us to our future clients. © 2018 Road to Roof. Designed by Quadtech.